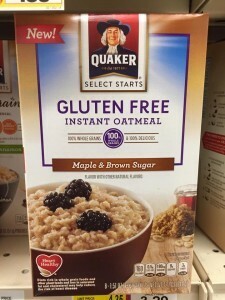 Quaker has launched a gluten-free instant oatmeal that uses mechanically processed oats. Quaker is the second large, mainstream company to introduce an oat-based product using regular oats that have been cleaned to remove gluten. Michael Savett of GlutenFreePhilly.com posted pictures on his blog’s Facebook page of the new product. Savett reports that the products are now in stores. A photo of the back of the product gives some information about Quaker’s process for handling the oats. “Oats are naturally gluten-free, but stray wheat, rye, or barley can be introduced during the harvesting and transportation. At Quaker, we’ve used our 139 years of expertise to design a proprietary method for removing stray grains. Then we rigorously test our high-quality oats to meet gluten-free standards and provide your family with satisfaction in every bowl,” says the product description. Mechanically processed oats are controversial in the gluten-free community. Prior to passage of the Food and Drug Administration’s gluten-free labeling rules only oats specially grown and processed to be gluten free were allowed in products with a gluten-free label. But the FDA does not require the use of these “pure oats” and allows the use of oats in a product labeled gluten free as long as the finished food contains less than 20 parts per million of gluten, the level identified as safe by the FDA. General Mills Cheerios were the first large mainstream product to use mechanically processed oats in a gluten-free product. Cheerios have been under fire, especially after General Mills had to recall 1.8 million boxes of the cereal after oat flour was mistakenly transported in trucks that had previously carried wheat flour, according to the company. As a result cereal made at the plant for a two-week period was not really gluten free. Meanwhile FDA testing triggered by consumers who complained about getting sick after eating Cheerios found one sample out of 36 that tested above the FDA standard for gluten-free labeling. That sample, the FDA says, came from the plant where the wheat flour cross-contamination occurred. The Quaker oatmeal is hitting the market not long after General Mills announced that it was discontinuing its Chex oatmeal due to poor sales. 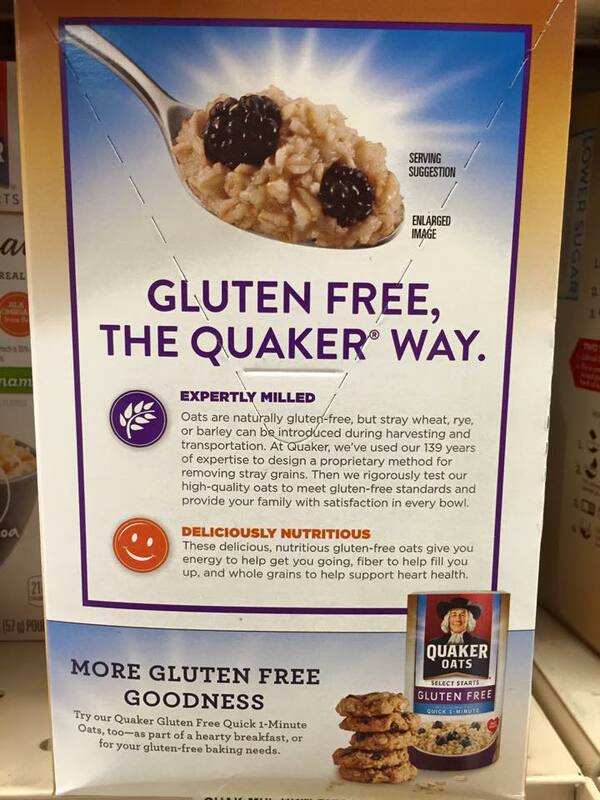 Gluten-Free Living will provide more details about Quaker oatmeal as they become available.